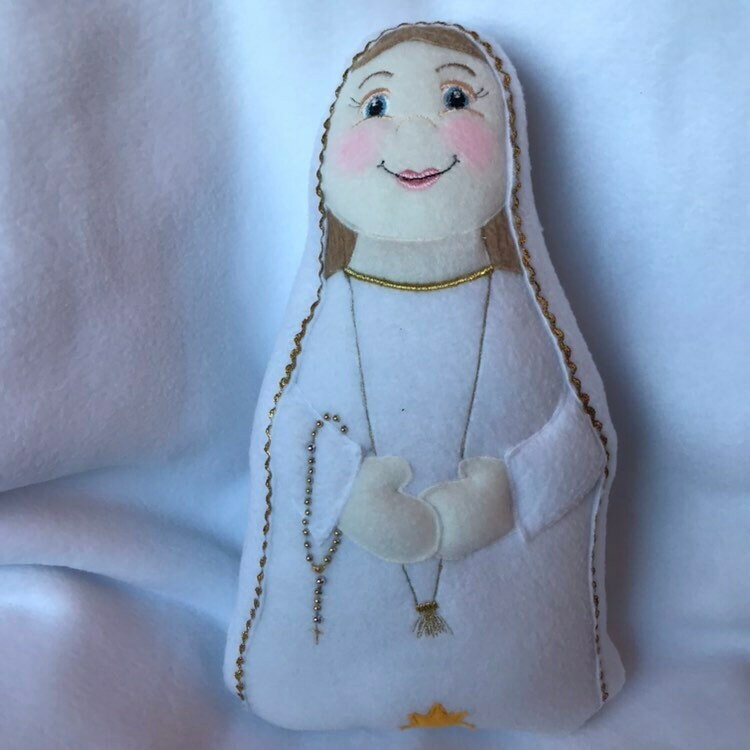 Our Lady of Fatima Doll, 100 year Anniversary of Fatima, Virgin Mary Doll, Our Lady, Our Lady of Fatima Soft Saint Doll Perfect to Snuggle. This item is really to ship!!! 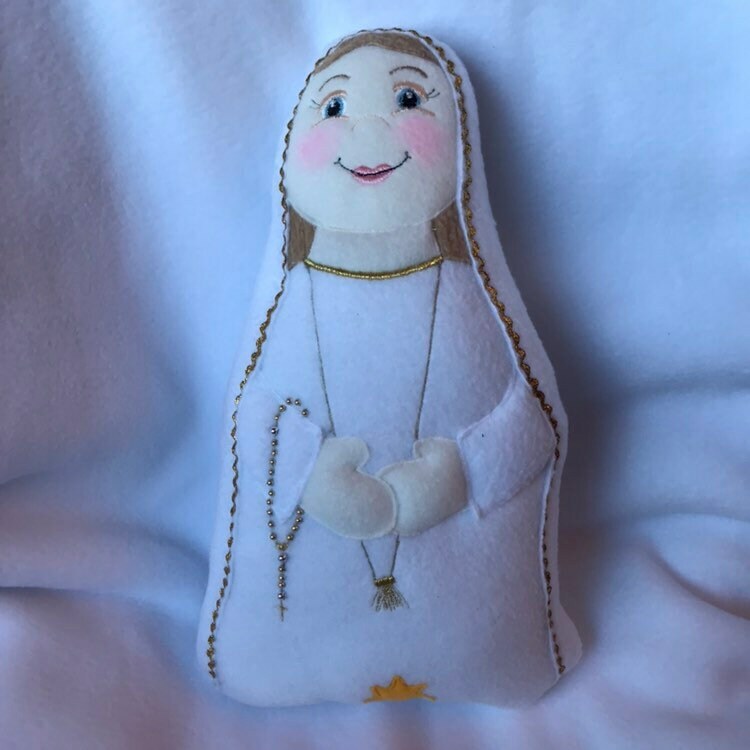 This Special Edition Our Lady of Fatima Handmade Soft Saint Doll is approximately 13" tall made with soft fleece, making it perfect for your little ones to cuddle up with. 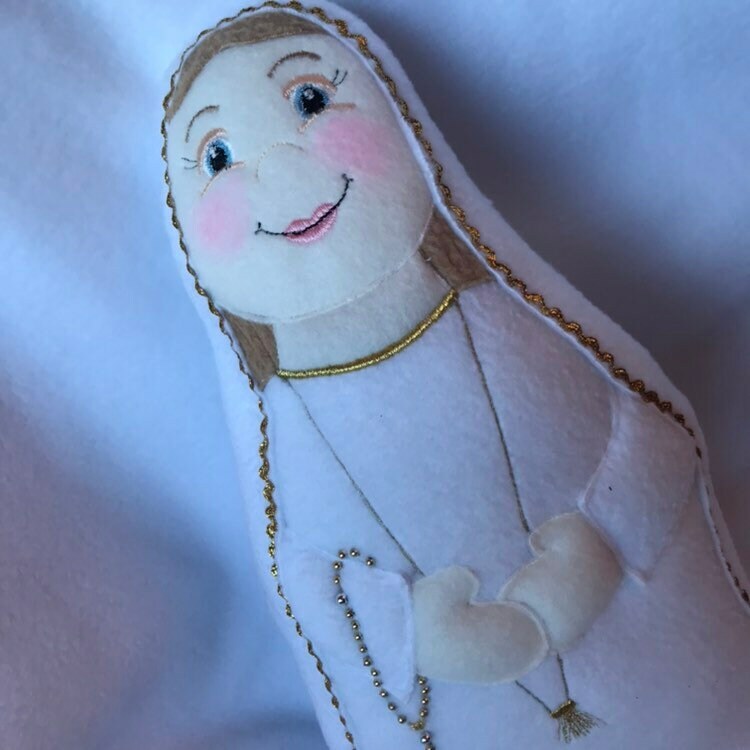 Embroidered with a sweet friendly face your child will love and a gold beaded rosary sewn into the doll (not recommended for children under 3). 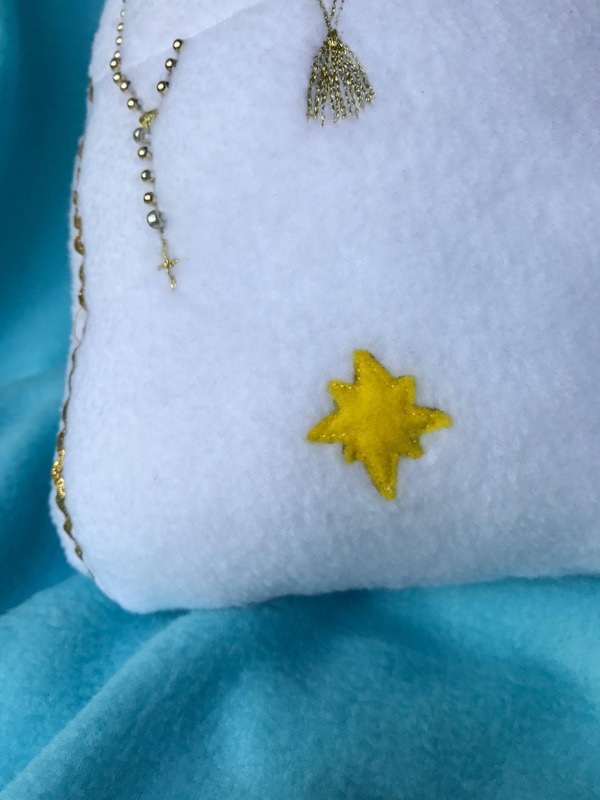 This doll is white with gold trim. 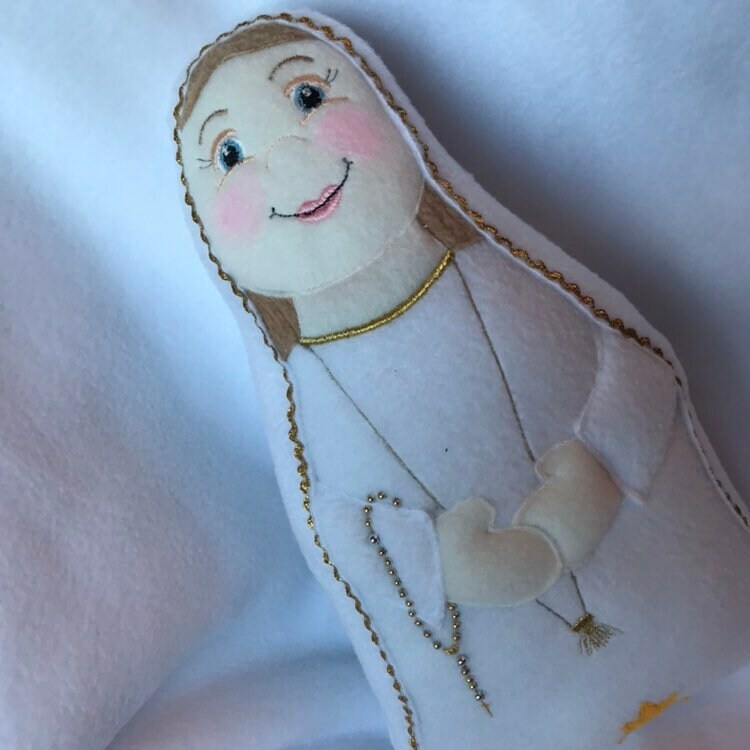 What better way to help little ones learn about the Our Lady of Fatima and her important message. The apparitions of Our Lady of Fatima began on the 13th of May 1917. 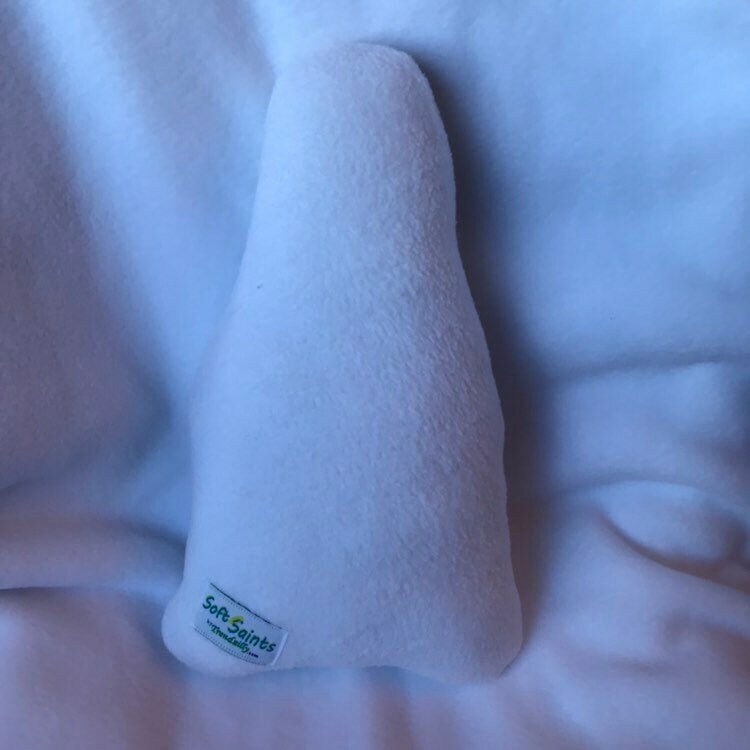 Our Lady came to the three Fatima children, Lucia, Francisco and Jacinta on the 13th of each month from May to October. On the 13th of October the Lady promised to reveal her identity and perform a miracle "so that all may believe". The Events of October 13th became known as the Miracle of the Sun. *Due to the beading on this doll it is not recommended for small children. **Please Note that because each item is handmade no two are exactly the same.